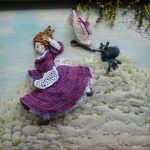 Jane has sewn and embroidered all her life and enjoys passing on her love of the art through teaching. 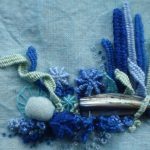 She mostly specialises in hand embroidery though sometimes machine embroidery is incorporated into her work to add a different dimension. She is particularly interested in creating raised pieces of work. 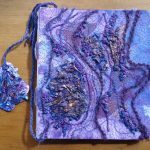 This she does by the use of chunky thread and dimensional stitches, adding pieces of melted tyvek or interesting found objects to the piece. 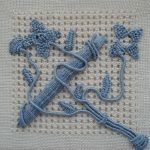 Her other way of raising the surface is by some of the more traditional techniques such as stumpwork, casalguidi and needlelace. Jane thinks it is important that the traditional techniques are still taught. Once learnt they can be incorporated in various ways to create contemporary textile works of art.